Seat from floor 18" x 18" wide x 16" deep. 39 1/2" high. 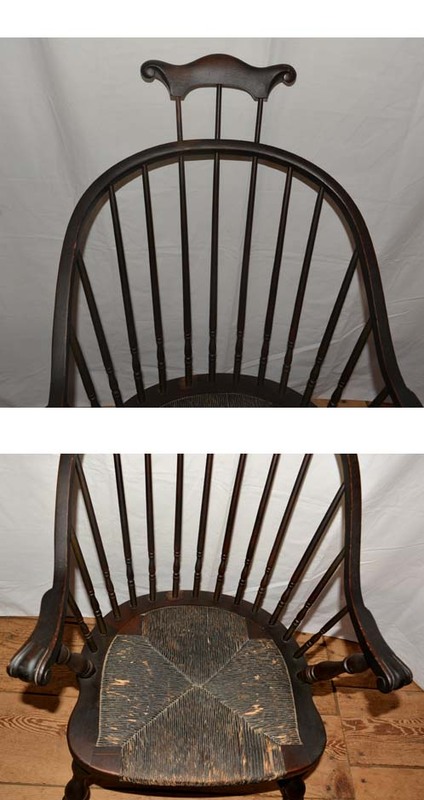 This Comb Back Chair is early and in the original finish. 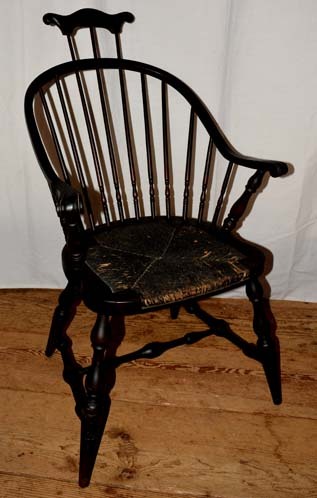 The chair is a Windsor style with a continuous arm and indentations at the end for the occupant's fingers. 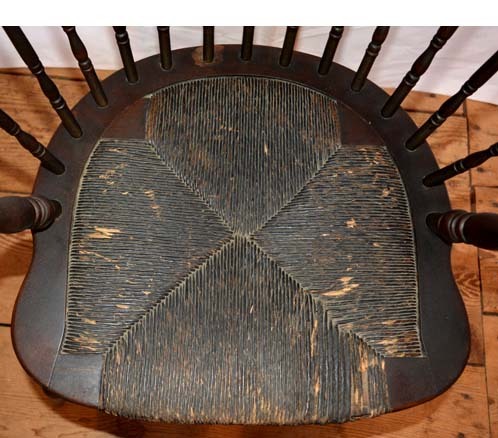 The seat is woven, and is also original to the chair. There is a comb shaped head rest on the back, and a wide turned base. 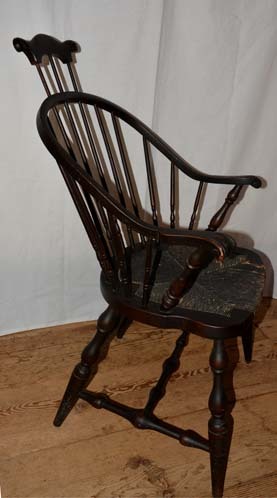 The extensive turning on the base would indicate that the chair is made of maple, but the dark color makes it difficult to determine the material. This chair is extremely early and has not been touched, so the integrity of the piece has not been violated. Don't bypass this early chair!